Teach kids God’s truth and help them to grow in Christ’s grace. T&T, Truth & Training, ushers preteens on a journey to know God and His Word, love and need their Savior, and live out their faith in the ever-changing world around them. The new T&T has been built to encourage parents or guardians to become involved in their child’s spiritual development in greater ways. The handbook includes 26 simple and optional activities in the Start Here activity for parents to participate in their child’s handbook experience. Weekly handouts called Table Talks will also be available for leaders to send home to parents each week. T&T is currently being updated! Today, preteens face unique pressures, demands and distractions. These factors can result in a marked increase in discouragement, apathy and disengagement. Christian children are not immune. Awana has responded by updating T&T to reinforce commitment, identity and community for these kids and to give third- and sixth-graders a new club stage to anticipate. These updates also focus the attention of leaders on the unique challenges and needs of this age group. What does the T&T curriculum teach, and why? The T&T books include four units – God, Bible, Redemption, and Evidence. These create a diversity of subject matter for kids to grow as disciples in both solid theological foundation and discipleship practices. What materials are involved in T&T? 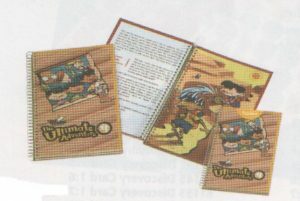 The main materials are: Handbook, Essentials, Small Group Guide, and Large Group Guide. Additional resources to help enhance the T&T experience include: Resource Bundle, audio resources, and game book. How do I use all these materials to structure our club time? We recommend using the All-together Method which moves kids together as a group from week to week. 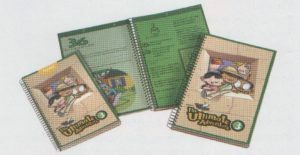 The All-together Method allows for fully-integrated Large Group Time teaching (using the Large Group Guide) and Small Group Time discussion (using the Small Group Guide) which reinforces the weekly Bible concepts, and allows kids to explore these further in the context of their small group relationships with each other and their leader. 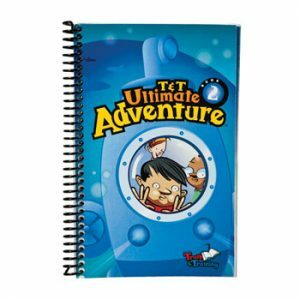 Each child receives a handbook to write in before and during Small Group Time. By completing these sections in the handbook, they earn awards. What is a handbook? What does a kid do with it, and when do they do it? 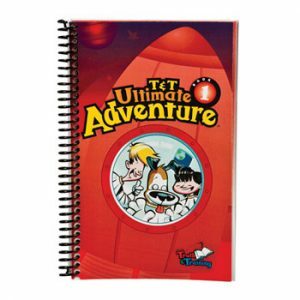 A handbook is the book each child gets to use to complete various activities for each lesson. It contains Bible study, memory verses, spaces to write and draw in, and prayer guides. Kids are invited to complete the handbook at home, but provisions are made for the kids who cannot complete work at home so that they still can have a meaningful discipleship experience at club. What do you do to help support me and my leaders as we run a T&T club? These resources have been put together in such a way that it will be as simple as possible to run your program. We believe that the majority of your time and your leaders’ time should be spent investing directly into kids in discipleship relationships, and our goal is to give you all the materials you need to do that. Check our Training & Resources page for tools, training, and a list of live events and recorded videos created to help you run your club. In addition, we have Awana missionaries in your area that will communicate with you directly for additional support. How many weeks is one year of T&T curriculum? The new T&T is a 32-week curriculum divided between the Start Zone (2 lessons) and handbook (30 lessons). How does T&T facilitate parental involvement? When will the new T&T be available? The first year (Mission: Grace in Action ) is already available, and the second year (Mission: Evidence of Grace) will be available for the start of club in the fall of 2017. What products will look different than Year One? Handbook – The new handbook has more concise Bible study sections, as well as shorter memory verses. The format has been streamlined with kids and leaders in mind to make for an easy-to-use discipleship experience. In this book, kids will also be given an opportunity to memorize the books of the Bible, and to bring a friend to their Awana club. Essentials – resources to help make club more accessible for a wider range of kids. This version of the handbook allows kids to be part of the group without completing any work before or during club. Though the Essentials version does not come with awards for completion, it will allow for kids of differing abilities and interest levels to still participate in discipleship discussion and activities. Small Group Guide – This book has been redesigned to flow with the kids’ handbook. The contents of the kids’ handbook pages have been integrated into each lesson with teaching helps, activities, and answers included for leaders within the lesson itself. Large Group Guide – This book has been simplified and updated with explanations on how to use each section, and a teaching outline that easier to speak from in a large group setting. Resource Bundle – This collection of downloadable resources includes teaching slides, parent handouts, and updated games and activities and has been designed to be developmentally appropriate and engaging for kids to interact with the content they are learning about in each lesson. What additional products have been added for Year Two? Audio – We are excited to announce that we have partnered with Pop Scripture Songs to include six memory verses set to music in creative and engaging ways just for T&T. Two songs using verses from the Start Zone will be free to everyone using T&T, and four additional songs with memory verses will be available for purchase for leaders, kids, and parents to help aid in verse memorization. Yes, each handbook section has a Silver Extra Credit Bible study (28 sections total) and four Gold Extra Credit memory verses per lesson (112 verses total) that dive deeper into that section’s Bible topic. How many achievement awards will be earned in each book? Every four sections the student will receive an emblem. Students could receive up to eight emblems.